Marine Pilotage is one of the oldest professions in the world, with reference to pilots found in some of the earliest recorded history. In Europe, a pilot was originally known as a lodesman, derived from the German word for lodestone, an early compass. The word pilot has evolved from Dutch terminology describing a plumb lead used for measuring the depth of water. Modern pilots, such as those employed by the Atlantic Pilotage Authority, have much more modern and sophisticated equipment available, but are still called upon to provide skilled shiphandling and expert navigation. While modern electronic equipment and navigational aids have changed the way ships are operated at sea, the employment of a marine pilot with extensive local knowledge and expert ship-handling skills is as essential as ever to safely enter harbours and ports and efficiently put ships alongside their berths. Ships have become larger and more complex, while the number of crewmembers on the ships has decreased. In today’s intensely competitive world, there are increasing demands for ships to operate in more severe weather conditions than in the past. A reliable and responsible marine pilotage system plays a significant role in allowing Canadian business to remain competitive in the global marketplace. Once settlements began to require regular shipping in the area, many of the early pilots were fishermen who had gained knowledge of water depths, navigational hazards, tides and currents for their local areas. These pilots often competed with each other, with the first one that approached and boarded a vessel getting the business. Initially, there was little or no regulation in existence to determine the qualifications or competence of those holding themselves out as pilots. 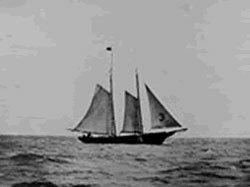 Upon Confederation in 1867, pilotage became a federal responsibility. Over the years, several pieces of legislation were enacted to provide governance to this vital service. By the early 1960’s, the pilotage system in place in Atlantic Canada consisted of several Operative Districts, some of which had a local commission as the pilotage authority, and some of which had the Minister of Transport as the Pilotage Authority. These Districts were autonomous licensing authorities with certain powers to make regulations, but with no authority to provide or direct a pilotage service. The pilots were intended to be self-employed entrepreneurs competing against one another for ships. The payment of pilotage dues was compulsory; however, the vessel was not obliged to employ a pilot in the District. In practice, the pilotage service being provided varied widely, and a great many difficulties ensued. In response, the federal government appointed a Royal Commission, chaired by the Honourable Mr. Justice Yves Bernier. The Bernier Commission conducted an exhaustive and comprehensive review of all issues related to pilotage and issued a final report to the government in 1968. The government subsequently enacted the Pilotage Act in 1972, based on recommendations emanating from the Bernier Royal Commission. The Atlantic Pilotage Authority is one of four Authorities established by the Pilotage Act, with responsibility for pilotage in Atlantic Canada. In its infancy, the Atlantic Pilotage Authority had 24 compulsory pilotage areas. Since then, some areas have ceased to be compulsory while others have been added. 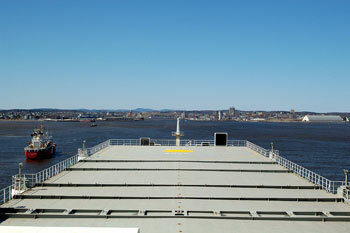 With the addition of Voisey’s Bay in 2008, there are currently 17 compulsory pilotage areas throughout Atlantic Canada.